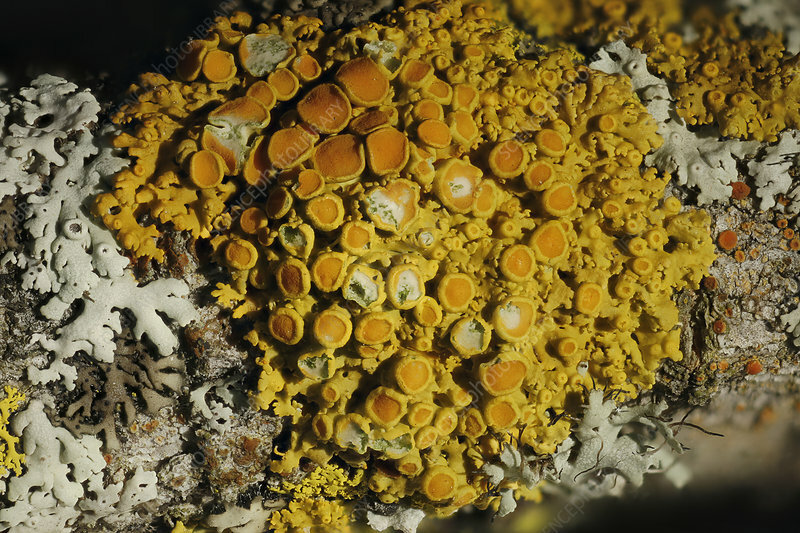 The Orange lichen (Xanthoria aureola) photographed at 2x. The field of view of this image is 16 mm. This is a common lichen in New England. This lichen is often found growing on tree branches. See SS21344116 for the same lichen fluorescing under UV light.